22 veterans will commit suicide today. PTSD is an epidemic affecting our nation’s warriors, and 22 American heroes choosing to end their lives every day is unacceptable. You can do something to help. 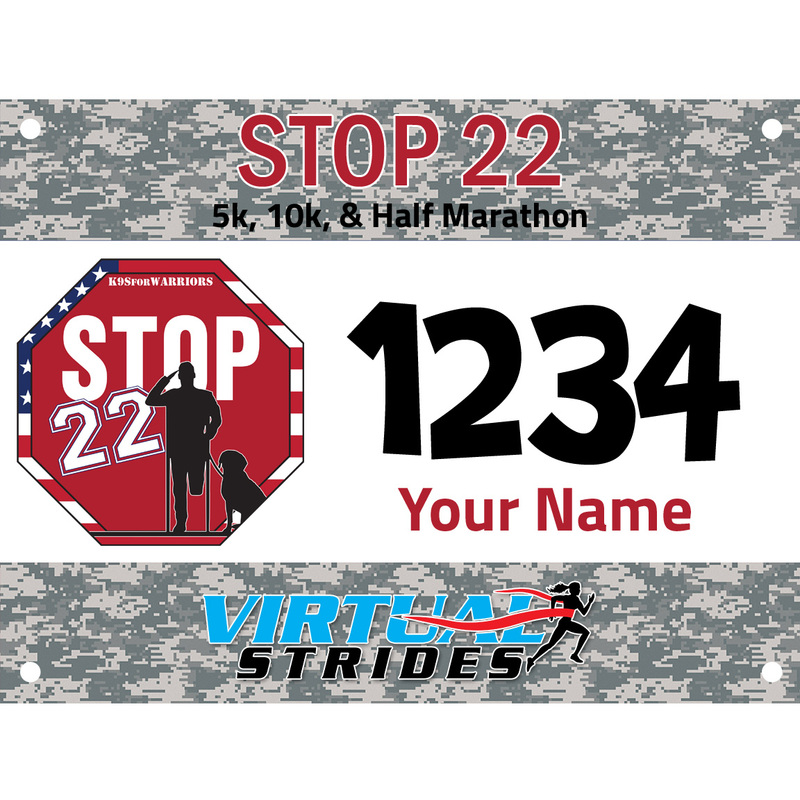 In honor of Veterans Day, we invite you to join the STOP 22 movement by participating in the STOP 22 virtual 5k/10k/Half Marathon. This is a virtual run, meaning you can run or walk whenever and wherever you want. 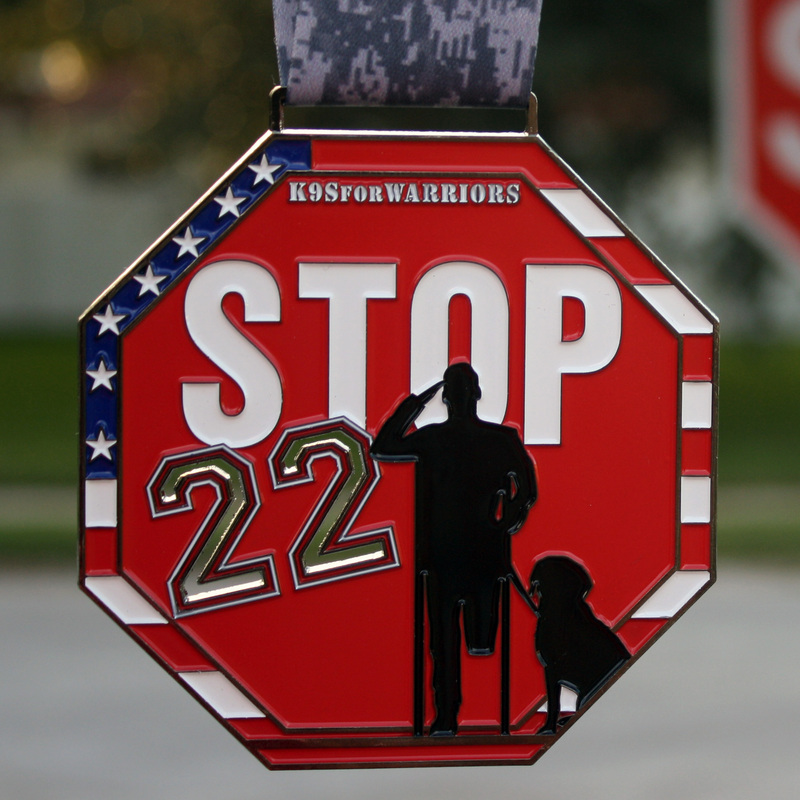 All registrants will receive a custom race bib and a commemorative 4″ STOP 22 medal. As always, medals will be shipped to participants after they upload their results or at the end of the race period, whichever comes first. 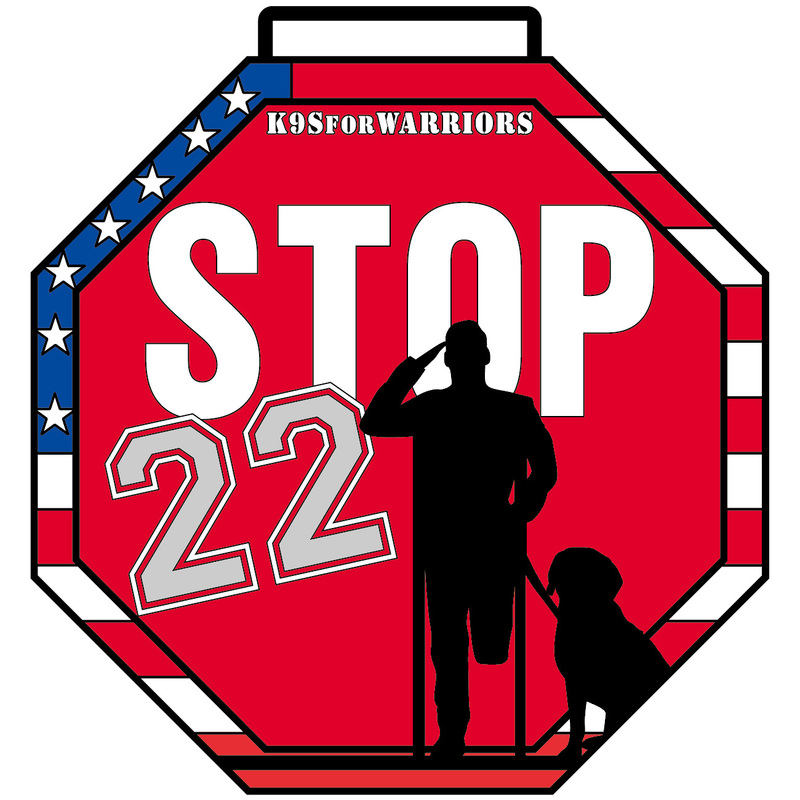 K9s for Warriors is dedicated to providing service canines to veterans suffering from Post-Traumatic Stress Disability, traumatic brain injury, and/or military sexual trauma as a result of military service post-9/11. This charity’s goal is to empower these warriors to return to civilian life with dignity and independence. 95% of the dogs used in the K9s for Warriors program are rescue/shelter dogs, and to date, K9s for Warriors has graduated 165 Warrior-Canine teams. A portion of the proceeds from this event (at least $5 from each registration) will be donated to K9s for Warriors. To learn more about this organization or to make a direct contribution, please visit K9sForWarriors.org.